Desert plants that have adapted to the bright light and drought conditions of their harsh climate of origin are perfectly evolved to live in our dwellings as houseplants. Grow desert plants in a sunny window, in a greenhouse or under fluorescent grow lights. 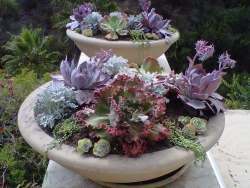 Succulent plants combine well in shallow trays or low humidity terracotta pots, containers, planters or dish gardens, oblivious to dry air and benign neglect. Many of the forms are short and stubby; fat plants have evolved to avoid too much sun exposure as well as the ability to store excess moisture of seasonal heavy rains to use in times of drought. Some desert plants such as Lithops will actually burrow down into the sandy soil to escape the hot sun when drought hits, leaving only the clear window on their top exposed, to emerge again once it rains. Root systems of desert plants can either be water storing and fleshy or a fine netting of tiny hairs. Either of these strategies will help the plant seek out moisture, and also hold the soil in place to prevent erosion from wind and rain. Soil conservation is extremely important in dry climates as strong winds scouring the plains will whip up the soil into a dust storm and carry it away. 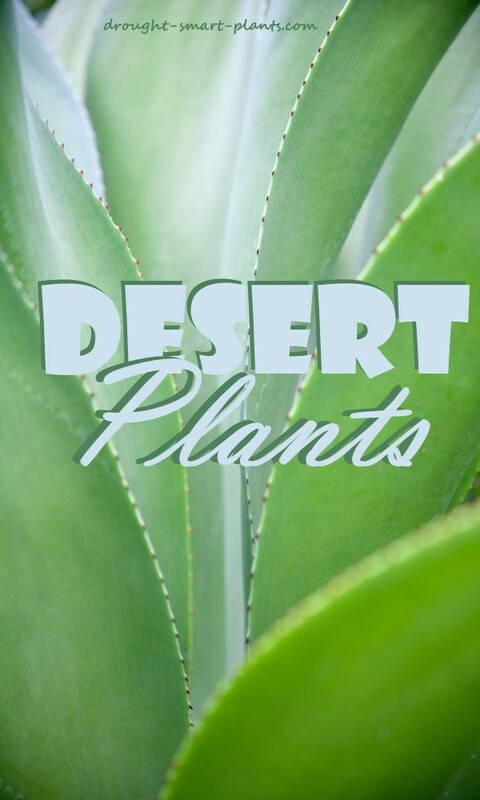 Desert plants require very little fertilizer; in fact, many dry land plants prefer a lean soil, with good drainage their most pressing need. Many desert plants also have the ability to open and close their stomata depending on the conditions – in very hot climates the stomata will open at night to enable gas exchange to take place when it’s cooler. 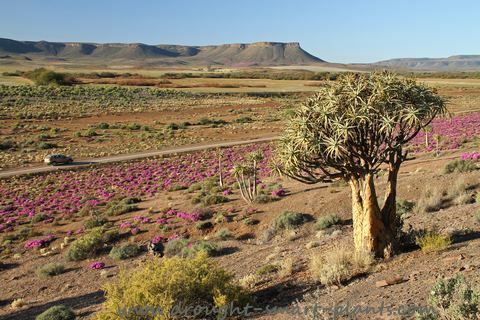 The foliage of desert plants is usually truncated or shortened, in some cases eliminated altogether as in many cacti. A waxy coating called 'bloom' or a fine layer of hairs is sometimes used as protection against excess moisture loss or as a technique to shade the leaf from the sun. 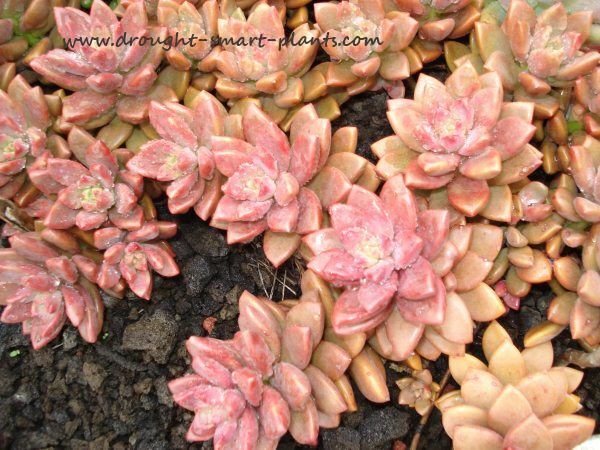 Move your desert plants out to a warm bright patio or deck for the summer months to give them a rest, and you’ll be amazed at the vibrancy and health this promotes. Moving them in for the winter is an important task before the cold weather arrives as many desert plants - even though able to withstand surprisingly cold temperatures - generally will not take frost. Fascinating, colourful and interesting in all their variety, you will find that your display will attract many other admirers, both human and animal in the form of butterflies and other insects, as well as hummingbirds as many of the flowers of desert plants have evolved to be an irresistible attractant. Night flying moths and bats will flock to the nectar as well. 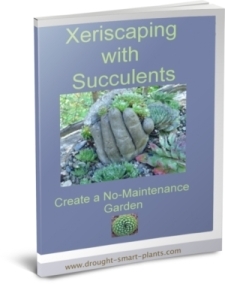 Try growing Aloe on a hot patio, or many of the hardy Sedum and Sempervivum grouped together, or the tender Echeveria. Desert plants will give your garden the feel of a tropical oasis, and require minimal care in containers for them to still look their best. A low maintenance garden with little water is within your reach. A collection of desert plants will quickly become an obsession, so be warned! You may not have room to put them all back into their allotted space; learn how propagate succulent plants so you have smaller specimens to overwinter.